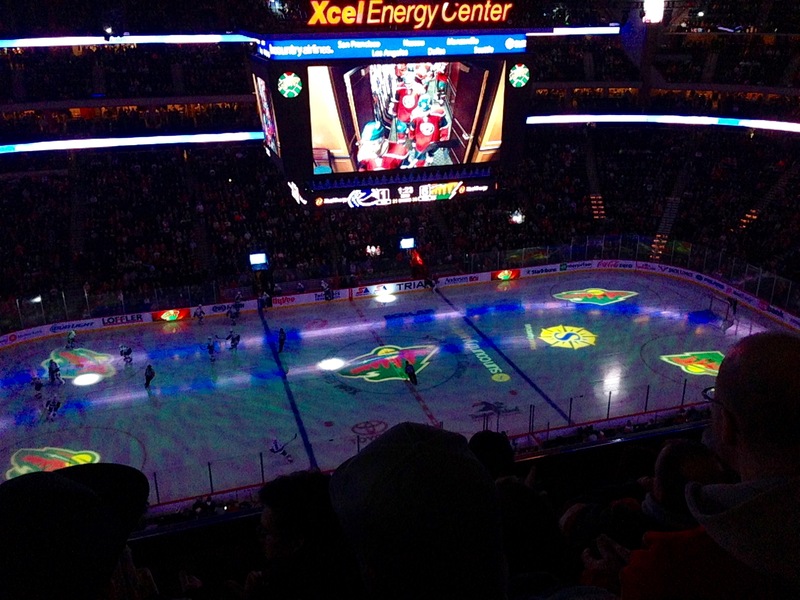 Minnesotans love their hockey tradition. 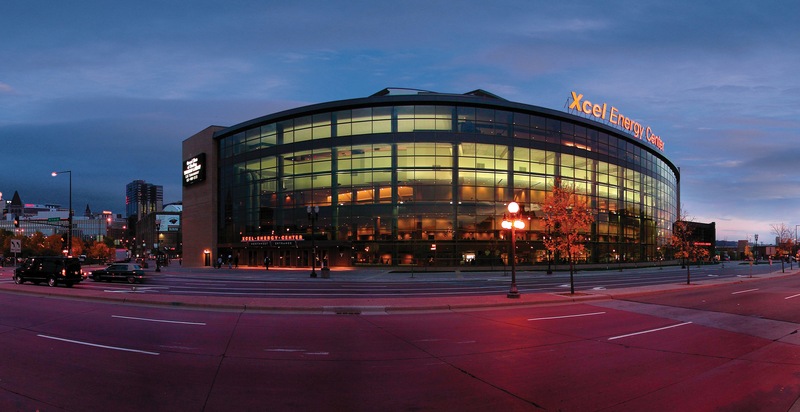 My visit to The X was the first time I had heard the Minnesota Wild anthem. A lot of history in the 2 minute plus video. Hockey returned to the schedule Tuesday night. 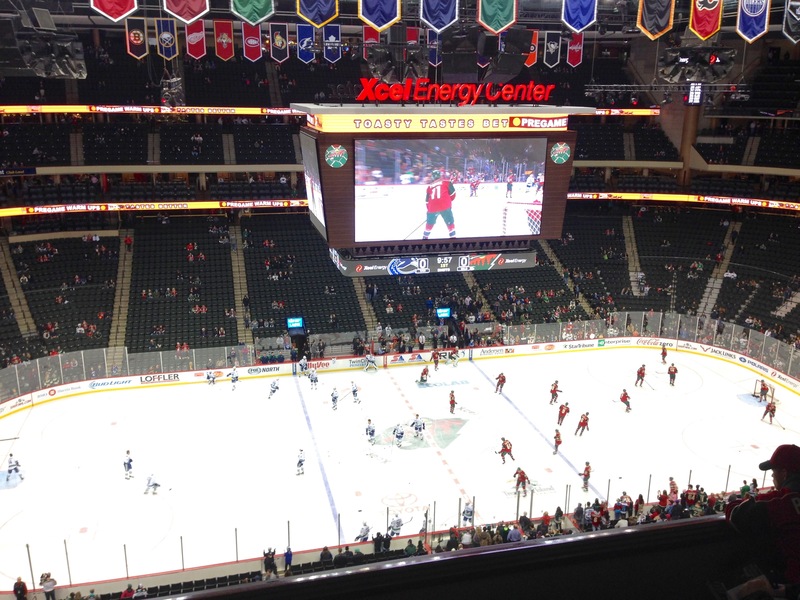 This time for an NHL game between the Minnesota Wild and the Vancouver Canucks at the Xcel Energy Center in St Paul. Ryan Miller would be starting in goal for Vancouver. I have watched Miller play since he was a Spartan, in fact I’ve been at more games when he was in net for Michigan State, than I have seen him play as a pro. It would be a tough night for Miller, as his teammates seemed to do a lot of standing around and watching the Wild skate. Thomas Vanek, the former Golden Gopher, opened the scoring with a power play goal. Jason Zucker followed with an even strength goal to go up 2-0 after one period. The second period was all Minnesota, as the Wild scored four more goals, throwing a total of 36 shots at Miller. Vancouver did get one behind Darcy Kuemper, who started his fifth consecutive game in place of the injured Devan Dubnyk. The score was 6-1 after two. Ryan Miller was mercifully pulled for the third period, and the Canucks managed to get one more behind Kuemper. However, at this point, both teams seemed to just be trying to wind down the clock and get out of the arena. Final score: 6-2 Wild win. Vanek had his first 4 point night as a member of the Wild. Captain Mikko Koivu also had a 4 point night, with Zach Parise picking up 3 points. Those were the three stars of the game. Attendance was 18,804.